Linseed (flaxseed) supplies valuable essential fatty acids, protein and dietary fibre. 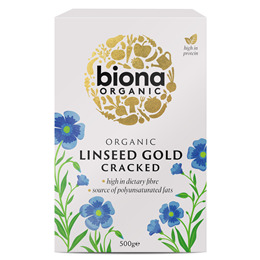 Biona Organic Linseed Gold is carefully cracked to aid absorption and release the soothing mucins. Unsaturated fatty acids are unstable when exposed to oxygen and light. For this reason Biona`s seeds are packed in a protective atmosphere in a foil bag. Two to three tablespoons per day. Sprinkle on salads or add to soup and casseroles. When taking linseed it is important to drink a sufficient amount of liquid (150-200ml per tablespoon of linseed). Once opened keep it refrigerated and use within a month. 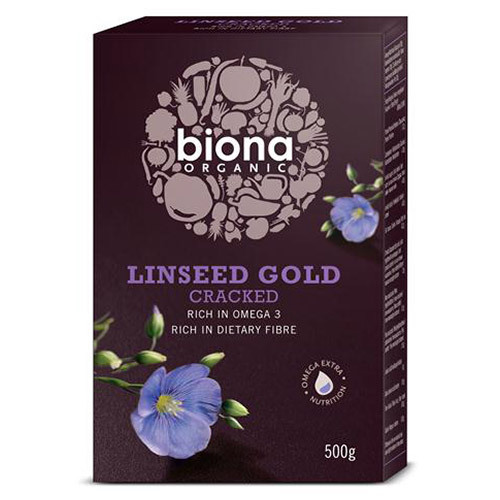 Below are reviews of Biona Organic Linseed Gold - Cracked - 500g - Best before date is 14th June 2019 by bodykind customers. If you have tried this product we'd love to hear what you think so please leave a review. Good quality product. Don't forget to keep it in the fridge once opened as the seeds are cracked so will go bad if not kept cool.